Guerisson 9 Complex Toner | I honestly love this toner, it does great things for my skin. It moisturizes and softens it also soothes my skin. I’ve been trying out the Retinoid 2% serum from The Ordinary and my skin has been acting up a bit. Every time I use this toner, my skin just seems to calm down. I like to layer this toner so I’ll apply 3 or 4 light layers at each application. It absorbs quickly into my skin and doesn’t leave a residue or make my skin feel overly tacky. 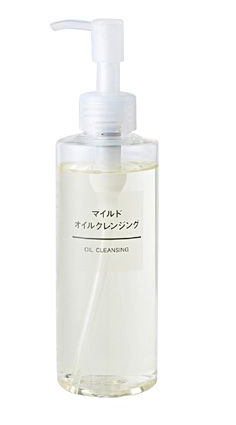 Muji Oil Cleanser | I don’t like this guy. I’ve never had a negative reaction or anything to this cleanser I just don’t like how it leaves my skin feeling after I rinse it off. I find it difficult to completely remove it from skin, it doesn’t emulsify enough when mixed with water, so though it removes my makeup, it still hangs around. I’ve tried using it to clean my makeup sponge and even to wash my hair. I like it better for those tasks. LJH Cellabel M.C. Cleansing oil | I’ve just recently ordered this cleanser so haven’t had the chance yet to use it. I’m excited though and looking forward to it. I’ll update you on what I think of it when it gets delivered. So this list is pretty short, not because I don’t want to purchase anything but because I’m focusing on using up the skin care products that I currently have. I do have a more is more mentality and therefore always want to try out new things, even if what I’m currently using works. I’m just not satisfied and want to explore other avenues. No I don’t have commitment issues I just like variety. So one of my main focuses right now is working on the texture on my cheeks, as I mentioned in my recent chemical exfoliants post, I’ve got my eye on a few products. The Ordinary 30% AHA + 2% BHA Peeling Solution| This is a exfoliating facial that you apply on your face for 10 minutes or so and then rinse it off. It’s meant to help refine the surface of your skin making it appear smoother improving the texture of your skin, it also helps to reduce fine lines and wrinkles. My main concern though is the improvement of texture on my skin, specifically my cheeks. I have found that the chemical exfoliants help with the appearance of my pores. My skin is oily excessively so, which means that the pores around my nose tend to be larger in appearance, however when I use a chemical exfoliant the size is drastically reduced. So far the reviews I’ve seen have been positive. 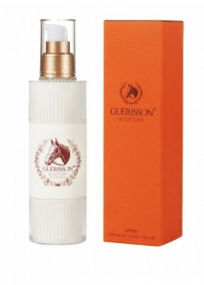 Guerisson 9 Complex Multi Moisturizing Lotion and Essence | This lotion is said to be brightening, however that’s not why I’m interested in it. I’ve found that the toner is very moisturizing and soothing to my skin so I figure with all the chemical exfoliating that I’ll be doing having products that are soothing will help my skin be it’s best. I want to use this lotion in conjunction with the toner to build on it’s soothing properties. There’s also an essence that is apart of the line that I’d like to get as well. 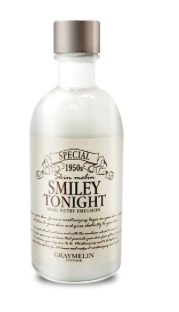 Graymelin Smiley Tonight Snail Nutry Emulsion | I like products that are snail focused, as I do find that it helps to soothe my skin. I’m almost out of my CosRx snail mucin, so I’ve been looking around at other snail based products to try. I’ve heard good things about the Graymelin brand, so I’m really interested in getting my hands on this guy. The aim of the product is to moisturize, improve skin elasticity and to repair damaged skin. Naruko La Creme Face Renewal Miracle Essence | I’ve read some great reviews about this product. 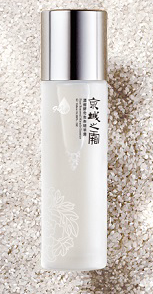 It’s meant to work as a first essence similar to the SK-11 Facial Treatment Essence does. This product helps with moisture retention and over time with regular usage helps skin appear fresh and glowly. Naruko was one of the first Asian beauty brands that I tried way back when, so I have no worries regarding the effectiveness of this product. The only thing is the price, though it’s not as steep as others still ends up being pretty high when converted into CDN dollars. Holy Snails Shark Sauce | So for the last couple months Chel (the owner of Holy Snails) has been making a special blend of shark sauce with a featured ingredient, they’re have been some great combinations that she’s made such as honey, lemon and Arbutin. I’ve used the original shark sauce and I like it, it moisturized my skin nicely. Chel said that around June or so she’ll bring back all of the special Shark Sauce’s that she created, I’m going to try and pick up a few of them then. I do believe that she’ll have some mini sizes. I generally have my eye on products that I want to try out because I well I’m a product junkie and am always on the look out for new and shiny. What skin care products do you have on you want list?